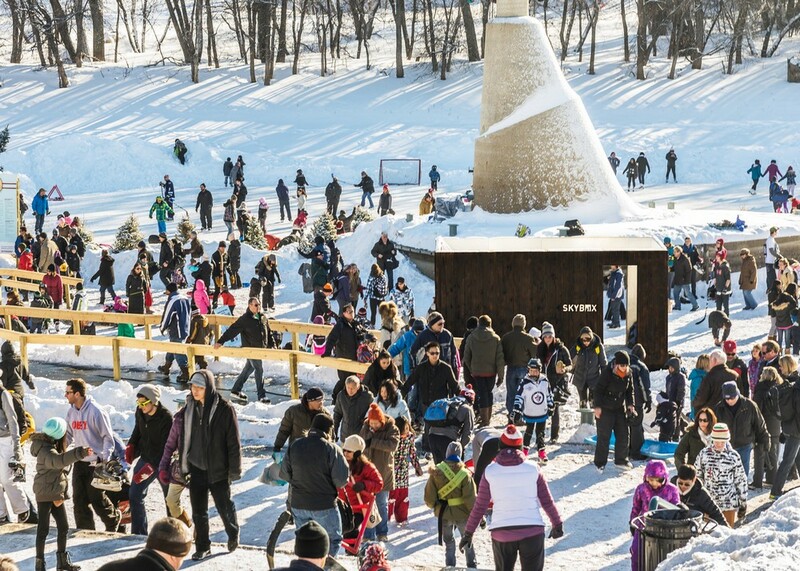 Winnipeg’s frozen river trail holds the Guinness World Record for the longest naturally frozen skating trail in the world, at 10 kilometers long. Over 300,000 visitors experience the trail during the winter season. 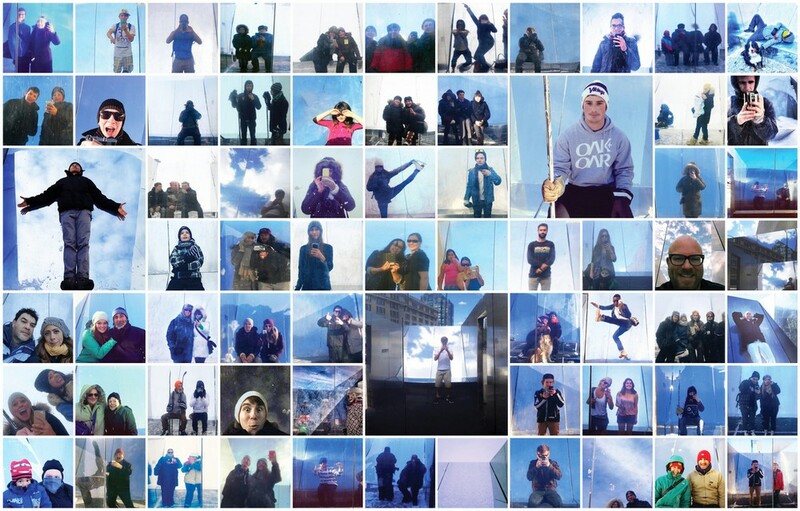 The designers aimed to engage and connect visitors using the combination of social media and the breathtaking Canadian prairie skies. 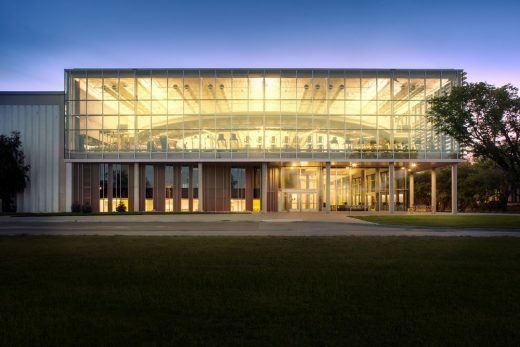 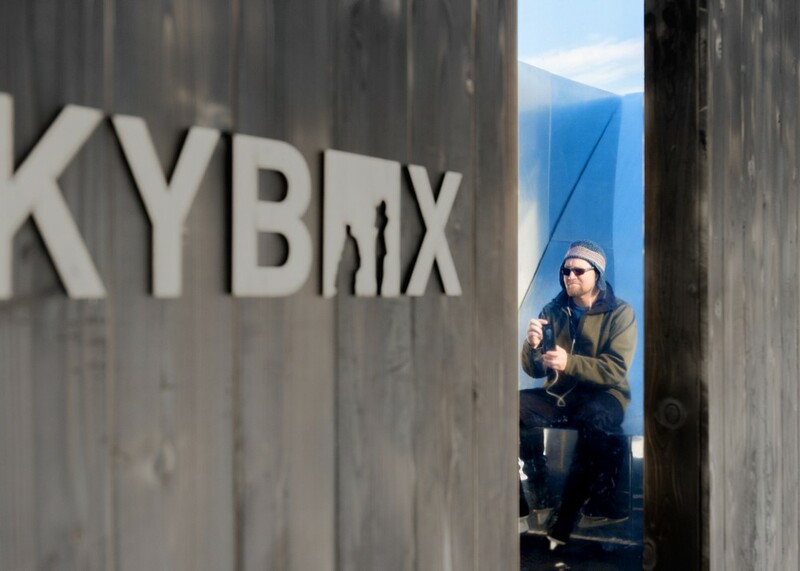 Fittingly, the pavilion is known as “Skybox” as the interior is filled with the sky above. 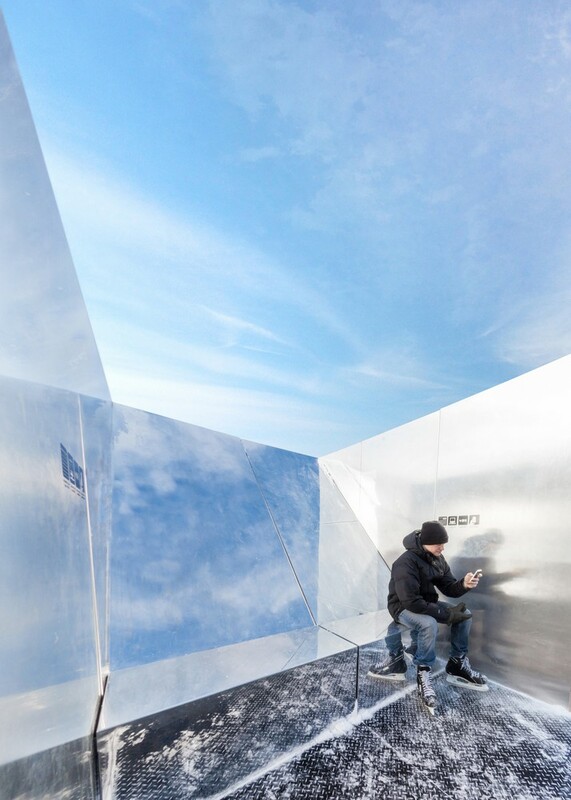 Skybox uses 45-degree planes of mirrored aluminum to reflect the sky into the pavilion. The angled plane of polished aluminum is folded to form a bench which runs the full width of the pavilion. 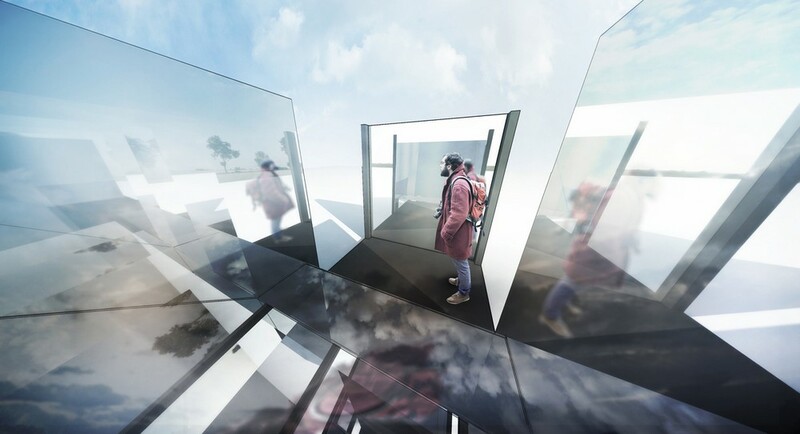 A mirrored vertical plane stands opposite of the reflected sky, allowing visitors to see their reflection sitting amongst the clouds. A blackened cedar exterior contrasts the light-filled interior, concealing a visual surprise along the frozen river trail. 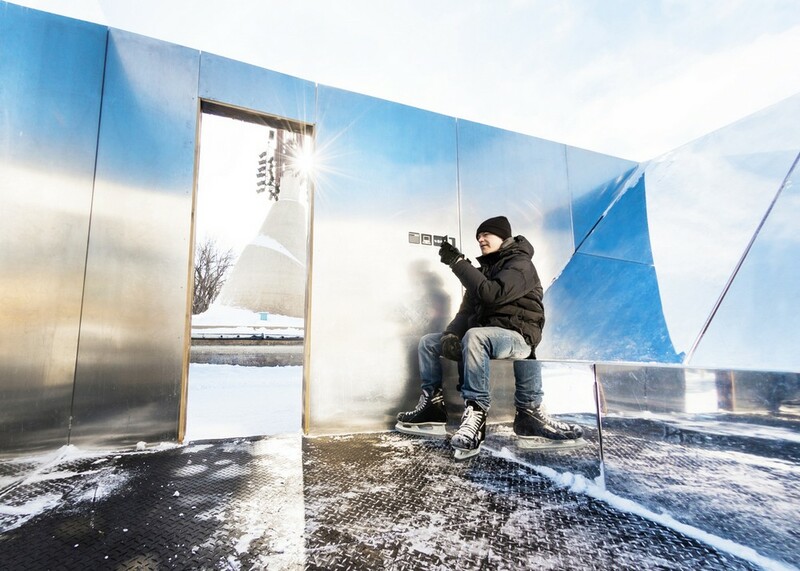 Visitors are encouraged to upload their Skybox images through social media, recording the ever-changing prairie skies to a publicly accessible digital archive. 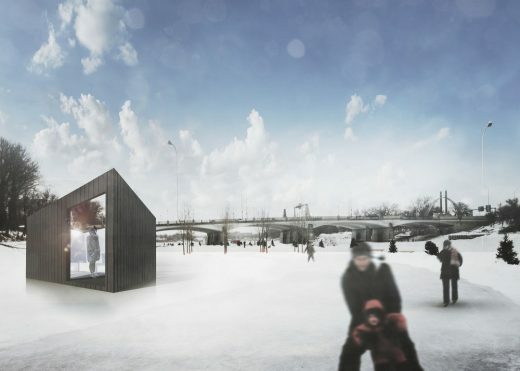 The pavilion’s size was limited to the 8’x14′ prefabricated steel skid which allows it to glide along the frozen river. 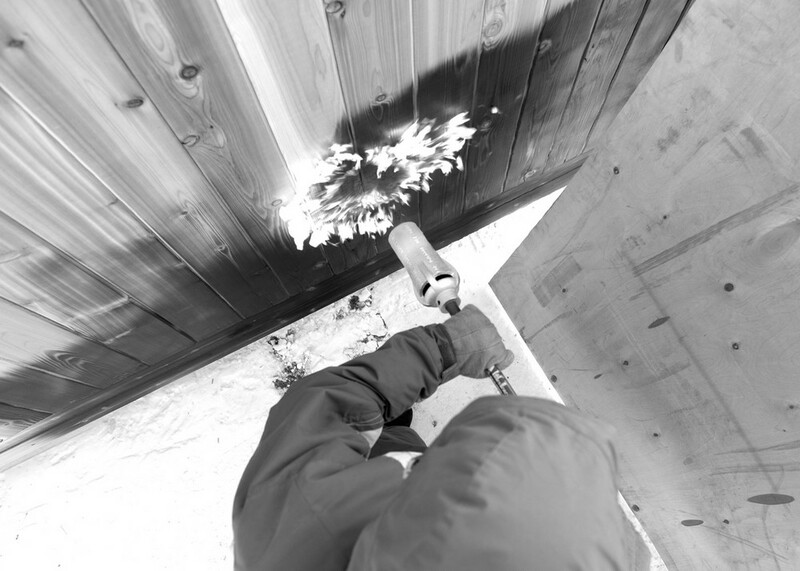 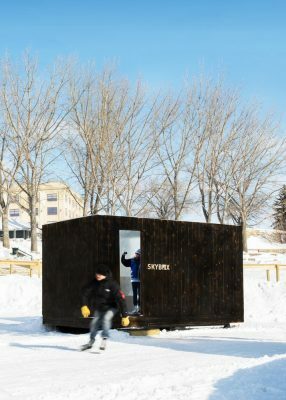 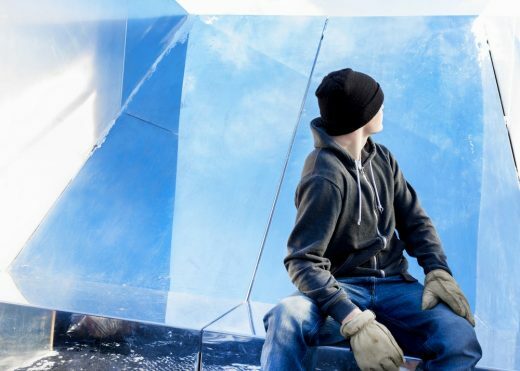 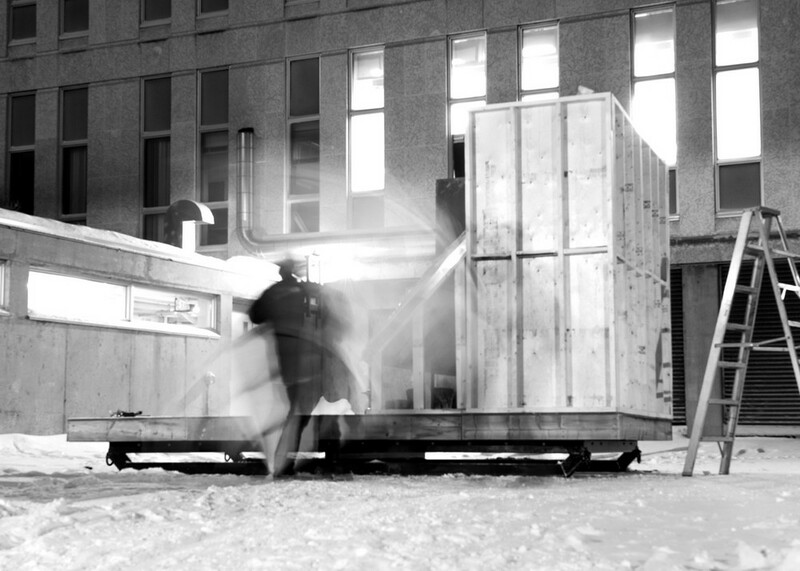 Winnipeg’s winter temperatures can drop below -50°C (-58°F), and to reduce time outdoors, Skybox was constructed in prefabricated 4’x8′ modules in a small workshop.